Barcelona -It’s only fitting I write about the band I’m From Barcelona whilst staying in Barcelona. Ironically enough, I’m from Barcelona is not actually from Barcelona, but a twenty nine person band in Sweden. Barcelona – OLA! Greetings from Spain. Posts are going to be short and sweet. Today’s song of the day is going to be about an English band named Theme Park. They have a single out called “Milk” and what can I say? It’s got a catchy indie pop meets Talking Heads vibe to it. The PR email says the band is made up of two brothers and 3 friends living in London. The band just started making new music this year, 2011. Great for them – live the dream kids, live the dream. 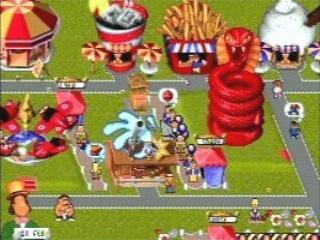 I don’t have anymore information about them, and Googling them makes me think about that ’90s game where you can make your own theme park so I get distracted. Toronto – If Christian radio broadcaster Harold Camping is to be believe, a lot of people are going to disappear on Saturday – including my mother, the pope, Kirk Cameron, Carrie Underwood and the Cold War Kids. Why, you ask? 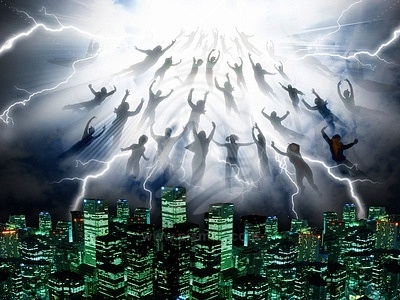 Because if legends are true, Saturday will be the day of the Rapture, where all the Christians will just vanish into mid-air, claimed by the heavens to protect them from the crazy Armageddon that will then descend upon the Earth. I just hope if the Rapture happens, that the pilot on my Air Transat flight isn’t Christian, because man, that would be some bad news. Which brings us to the Brooklyn dance funk band, The Rapture who released one of my favorite dance floor indie tracks of all time with the song Whoo! Alright-Yeah…Uh Huh. A single off their underrated sophomore record Pieces of the People We Love. A three and a minute romper that features cowbells, an awesome dance beat, great rhythm and a chorus so easy to memorize that even a four year old can sing it, this is a track that is fit for a party. It’s a shame that these guys have not released anything since 2006 but if the world does end on Saturday, this is a good track to go down to. 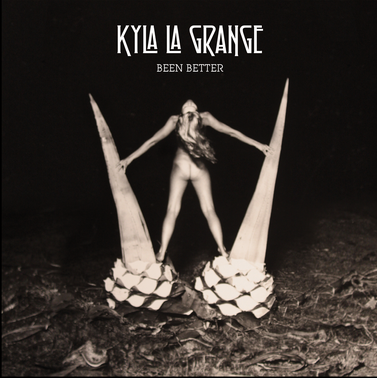 Toronto – This here track is the second single from UK singer-songwriter Kyla La Grange, a new artist who we have written about before on this blog. This new single is due out July 11th and much like her previous single Walk Through Walls, Been Better is a track that displays much more maturity then one would expect for an artist who is only releasing her second track. Almost sounding like something that Stevie Nicks would have written, Been Better is a track about independence and has a thunderous chorus. Kyla La Grange is, one of the better new artists of 2011, in my opinion. Check out this tune.